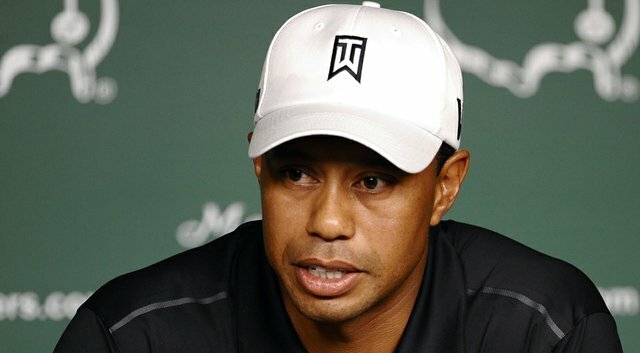 LOS ANGELES — The legendary comedic actor Tim Meadows once said, as Tiger Woods on a ‘Saturday Night Live’ skit, “golf is great and I love golf and whatnot.” And he’s right, though I’m not sure what the “whatnot” is anymore since Tiger, well, ya know, gave up all the whatnot. Regardless, golf is nearly the perfect game in the sense that all its glory and goathood rests squarely on your shoulders. You’re not competing against anyone else except yourself and the golf course, which makes for a 5-hour battle of will and determination. The ultimate mental game, if you’ve ever swung a club you know exactly what I mean, golf pushes your limits in ways other sports can’t. I taught myself how to play 15 years ago, molded my swing after watching countless pros on TV throughout the years and reading magazines and infomercials, and am still a gigantic hack. Just when I think I have the game figured out, my ball striking goes into a funk or I can’t putt to save my life. This ever happen to you: if one aspect of you game is on point, another is completely off kilter? All the time right? It’s a good thing I’m not a professional. I’d have won and lost my Tour card a dozen times by now and more than once gone completely Tin Cup by breaking all my clubs out of frustration during a round. 1.) Where Is Tiger Woods? — So Eldrick announced last week he was going to miss the Masters to have surgery to alleviate the pain in his aching back, thus missing his favorite even for the first time since 1994, ya know, when he wasn’t yet on Tour. We all know the next year he set the scoring record and took the golf world by storm. So let’s just assume that’s going to happen next year. 2.) Wait, Really? Tiger’s Not Playing? — Really! And I’m pretty bummed out about it (as I tweeted out shortly after his announcement), as Tiger is hands down my favorite golfer and a main reason people watch on Sundays, especially at Augusta where even though he’s been up-and-down the last few years, he’s always found in himself in contention heading into the Back 9. I really think his absence will affect ratings but I guess we’ll see if the Masters truly are Tiger-proof. It won’t be the same without him this year, that’s for sure. Think of all the great Augusta moments in the last 19 years that he’s been a part of! It’s amazing. 3.) Can Adam Scott Win This Thing Again? — Here’s the most crazy stat in the last five years of golf: 19 of the last 21 majors have been won by someone different. On top of that, there hasn’t been a consecutive Masters champion since Tiger in 2001-’02, so you’d think something has to give, right? Clearly Scott, an Aussie, has the game to repeat and he’s off to a good start this season with four Top 12 finishes in five events. Knowing he can win at Augusta is a big mental hurdle to overcome and with that in his back pocket he’s already a leg up on those who have faltered in years past. Harris English: The 24-year old is from Georgia, has five Top 10 finishes dating back to last October, and wait for it, we have the SAME BIRTHDAY. That makes him rootable in my book. Ricky Fowler: Of course, any list of upcoming Americans has to include Fowler, who’s only 25 believe it or not. And while he’s struggled on the course of late, you know he’s going to have one of the craziest outfits out there, and that counts for something. 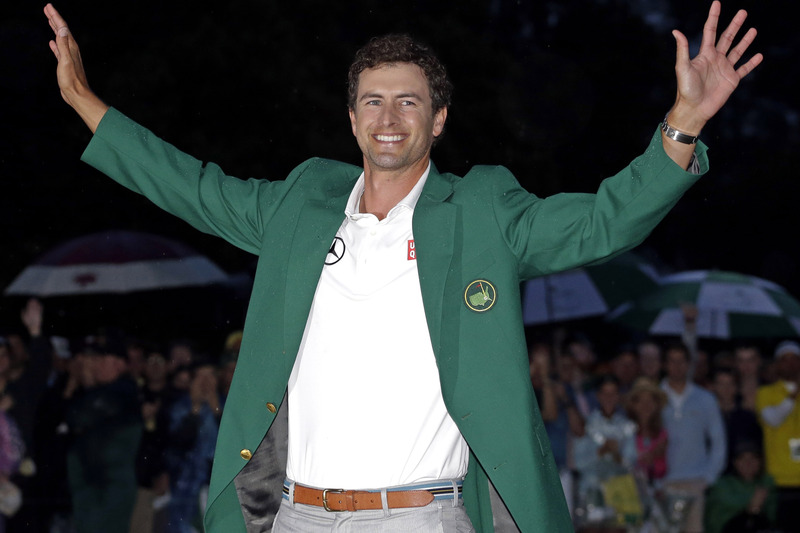 Webb Simpson: Remember, Simpson won the U.S. Open back in 2012, so you know he’s got major game. Plus, he’s only 28 and also has five Top 10s since October. Another major win here would really elevate his status as a serious contender to take Tiger’s place among American superstars. Patrick Reed: Then we have Reed, who shocked everyone a couple weeks ago by donning the red shirt on Sunday a la Tiger and then went out and beat him. Only 23, he’s proven to have the moxie to hang with the big boys but Augusta chews up and spits out hopefuls for breakfast. 5.) 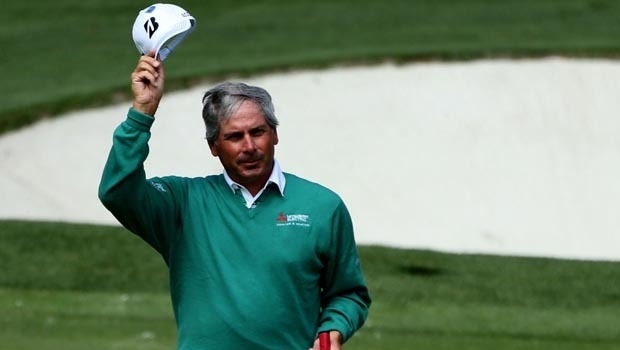 Will Fred Couples Be Near Leaderboard This Weekend? — Freddy is like your cool uncle who lets you stay up late and watch the movie with some tities in it ,and maybe let you sip on his beer while you’re at it, which is why he’s one of the biggest fan favorites at this event each year. He also somehow seems to find himself in contention heading into the weekend. Couples, who won back in 1992, made a serious run last year before sliding off late and finishing 13th. As always with Couples, it’ll be how long is back can hold up in that Georgia heat. 6.) Will A Past Champion Make A Run? — There are 19 former champions in the field this year and those with the best realistic shot to contend include Angel Cabrera (2009), Adam Scott (2013), Phil Mickelson (2004, ’06, ’10), Charl Schwartzel (2011) and Bubba Watson (2012). 7.) How Many Times Will Jim Nantz Say “Hello, Friends”? — Get ready to hear it A LOT in the next four days. I’m talking like at least 438 times. 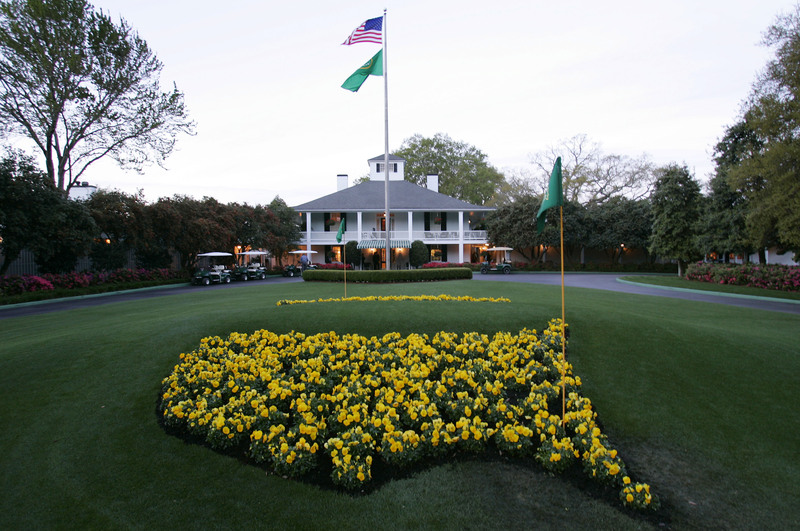 And while we’re here, get ready for talk about the azaleas, Butler Cabin, Amen Corner, Hogan’s Bridge, Eisenhower Tree (which is gone from the 17th hole), Condi Rice being a member now and how it’s a tradition unlike any other. In fact, you might want to play a Jim Nantz Drinking Game or two while you’re crushing cheese sandwiches and watching the Masters package on DirecTV. Better yet, don’t. There’s no reason to end up in the hospital on Friday. It’s a long weekend of golf. 8.) Tiger’s Really Not Playing? — Unless he’s been secretly in the WWE the last month with Vince McMahon plotting what would be the coolest ruse ever, then yes, Tiger’s really not playing. Trust me, you’ll live without him. Posted on April 10, 2014, in Random and tagged Adam Scott, Arnold Palmer, Augusta, Bubba Watson, Jack Nicklaus, PGA Tour, Phil Mickelson, Rory McIlroy, Saturday Night Live, The Masters, Tiger Woods, WWE. Bookmark the permalink. Leave a comment.